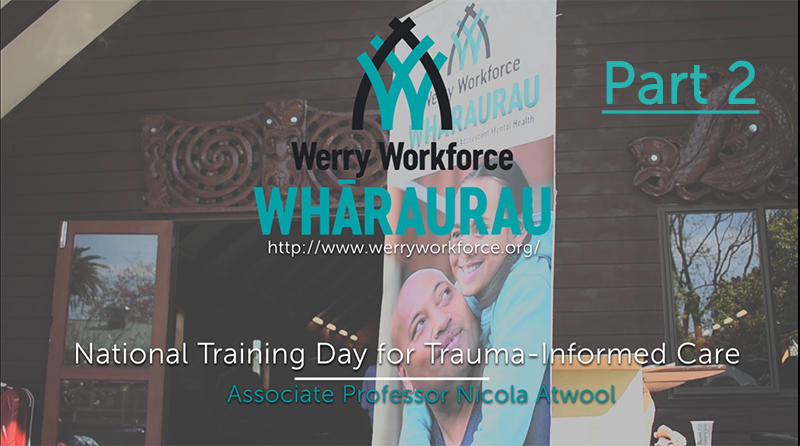 Werry Workforce Whāraurau offered the following national training day for mental health professionals working in Aotearoa. This event took place on Friday 9 November 2018. Nicola Atwool; Associate Professor Nicola Atwool from the University of Otago will talk about how to work with children and whānau with a trauma history, and how important it is to work in a trauma-informed environment when supporting whānau in order to look after ourselves in the process. Childhood experiences, both positive and negative, have a tremendous impact on future lifelong health and opportunity. As such, early experiences are an important public health issue and a cross-government issue. Much of the foundational research in this area has been referred to as Adverse Childhood Experiences (ACEs). ACEs can be prevented and resilience can be learnt. To watch a preview of this documentary by Jamie Redford please click here.